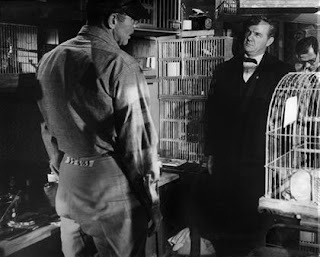 The fictionalized story of Robert Stroud, a murderer who turned into a bird expert while serving a life sentence behind bars, Birdman Of Alcatraz is about the triumph of a restless but captive spirit. 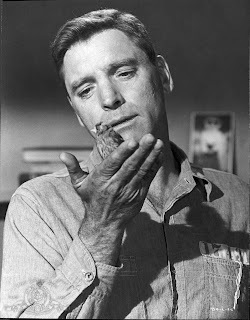 Burt Lancaster delivers a defining performance, and while the movie may somewhat romanticize Stroud, it makes no apologies for celebrating the emergence of humanity in the face of grim austerity. An uncompromising brute, Stroud (Lancaster) has killed a man in his home state of Alaska, and is consigned to spend a life in prison. His only relationship is with his mother Elizabeth (Thelma Ritter), a woman both dedicated to her son and obsessed with him. Eventually transferred to Leavenworth, Stroud quickly runs afoul of the strict rules of warden Harvey Shoemaker (Karl Malden). Stroud makes an already tough life much more difficult by killing a guard, and he is sentenced to death. Elizabeth intervenes on behalf of her son all the way to a personal meeting with the wife of President Wilson, and the sentence is commuted to a life of solitary confinement. While on a break in the prison yard, Stroud picks up an ailing sparrow, takes it to his cell and gradually nurses the bird to health. One bird leads to many, and Stroud is allowed to keep and care for several canaries. He takes an interest in bird health, and experiments with medications to treat common diseases. Through publications in scientific journals, his stature in the bird community grows, and he eventually meets and marries bird lover Stella Johnson (Betty Field) and they start a business selling bird medications. But the authorities clamp down again, and Stroud's troubles continue as he is transferred to new facilities at Alcatraz and an unwelcome reunion with Shoemaker. 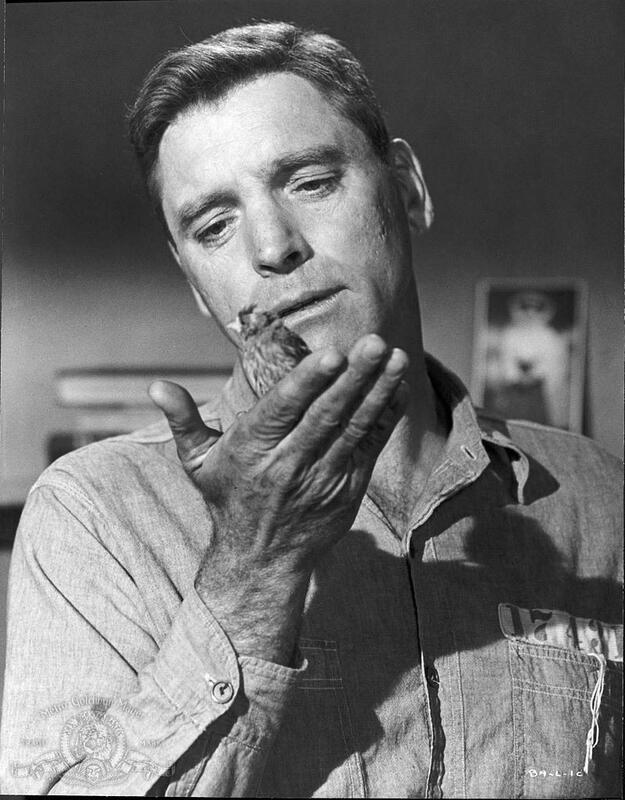 Lancaster dominates Birdman Of Alcatraz both physically and emotionally. Although Stroud is portrayed as gradually softening with age, Lancaster never allows him to lose all his jagged edges. He remains angry and largely antisocial, a man who survived and achieved unlikely scientific recognition almost despite himself. Lancaster's performance is filled with passion, power and hints of a troubled childhood under the frightfully domineering influence of his mother. Malden as the fictional Shoemaker represents the wall of authority that Stroud's life repeatedly crashes against. Shoemaker carries none of the physicality and all of the morality and attachment to rules and regulations that Stroud despises, and the two men occupy different worlds cramped into the same miserable space. Despite a running length of more than 140 minutes, there are surprisingly few supporting characters surrounding Stroud's life. Ritter is icily determined as his mother, and she makes it easy to imagine the kind of upbringing that shaped his life. Betty Field as Stella, Stroud's partner, wife, and overall positive influence, has no idea that by linking her destiny with Stroud she sets herself up on an irreversible collision course with Elizabeth. Telly Savalas as a fellow inmate at Leavenworth and Edmond O'Brien as the author Tom Gaddis, who wrote the book that popularized Stroud's story, round out the cast. Director John Frankenheimer and his cinematographer Burnett Guffey use the black and white photography to highlight the bleakness of Stroud's life and the harshness of eternal incarceration, much of Birdman Of Alcatraz taking place in confined cells with tiny barred windows providing the only source of light. Within the overwhelming darkness no one is satisfied: not the guards, not the warden, and of course, not the prisoners. The captors are as depressed as their captives, and Frankenheimer drives the point home on the island of Alcatraz, where even the families of the guards are effectively stranded on the same rock as the country's most hardened criminals. The men may be in literal or proverbial cells, but sometimes all it takes is a small helpless creature to unlock positive potential in the crustiest of hearts.